Personal information: The Loop does not collect personal information except what is provided by you (e.g. name, email, year of birth, location). All information collected is submitted voluntarily through services offered on TheResearchLoop.com. Name and email information is used only for the purposes of The Research Loop operations. Offered data: Any information, including personal information that you submit in the “Offer Research Feedback” form (e.g., location, health information, etc.) will be considered “Offered Data” and be provided to third parties. 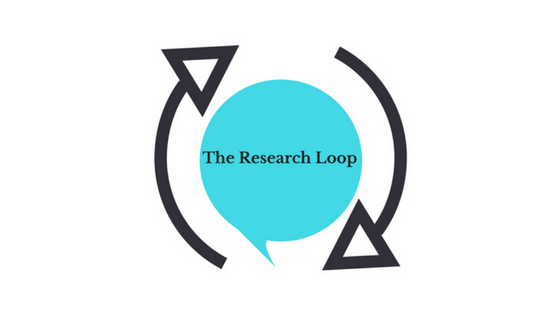 No feedback submitted will be made publicly available on The Research Loop site. Information collected automatically: As with most other websites, The Loop collects and uses the data contained in log files. The information in the log files include your IP (internet protocol) address, your ISP (internet service provider), the browser you used to visit our site, the time you visited the site and which pages you visited throughout the site. Information usage: Should the user delete their account, all personal information will also be removed, but we maintain the right to retain non-personal information collected about the account. Should the user account be terminated, as specified in the terms of service, we maintain the right to all data collected while using The Research Loop services. The Research Loop uses data and usage information internally, as needed, for research, for maintenance and operation of the site, and to create the best possible tools and functionality for patients. The Research Loop may share or disclose data where it is required by law or to comply with legal processes. In the event The Research Loop goes through a business transition, such as a merger, acquisition by another organization, or sale of all or a portion of its assets, the data, including any personal information, might be among the assets transferred. Users will be notified via this site of any such change in ownership or control of personal information. How data is used: Offered Data will be provided to third parties to offer feedback on research in an effort to improve future research projects. Offered Data may be shared in individual and aggregate format. When disclosing this information, The Research Loop will take all measures possible to de-identify the Offered Data to reduce the likelihood of re-identification prior to sharing information. Children: The Research Loop is a general audience site, but it not intended for children under the age of 18. We do not intentionally gather information about users or visitors who are under the age of 13 and no one under age 13 is allowed to provide any personal information on the website. Security: The Research Loop uses reasonable measures to safeguard personal information in its possession against loss, theft, unauthorized use, disclosure or modification. However, because no data transmission over the Internet is completely secure, and no system of physical or electronic security is impenetrable, you agree by using TheResearchLoop.com to assume all risk in connection with the information sent to us or collected by us when you use the Website. Benefits: The goal of The Research Loop is to give patients a voice in research and in the hopes of improving future research. However, there are no certain benefits to using this website. Additionally, The Research Loop cannot guarantee that any third party who receives the Offered Data will act on that data or the outcome if they do use that data.